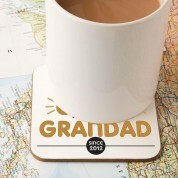 A wonderful gift for a special Grandad! 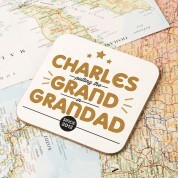 Our cute little coaster is personalised with his name and features a bold design. He is sure to have nothing quite like it. 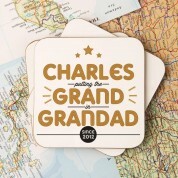 The single novelty coaster reads “putting the Grand in Grandad” followed by a special year of choice. The gold writing stands out against the white background, and the design is made complete with three gold stars. 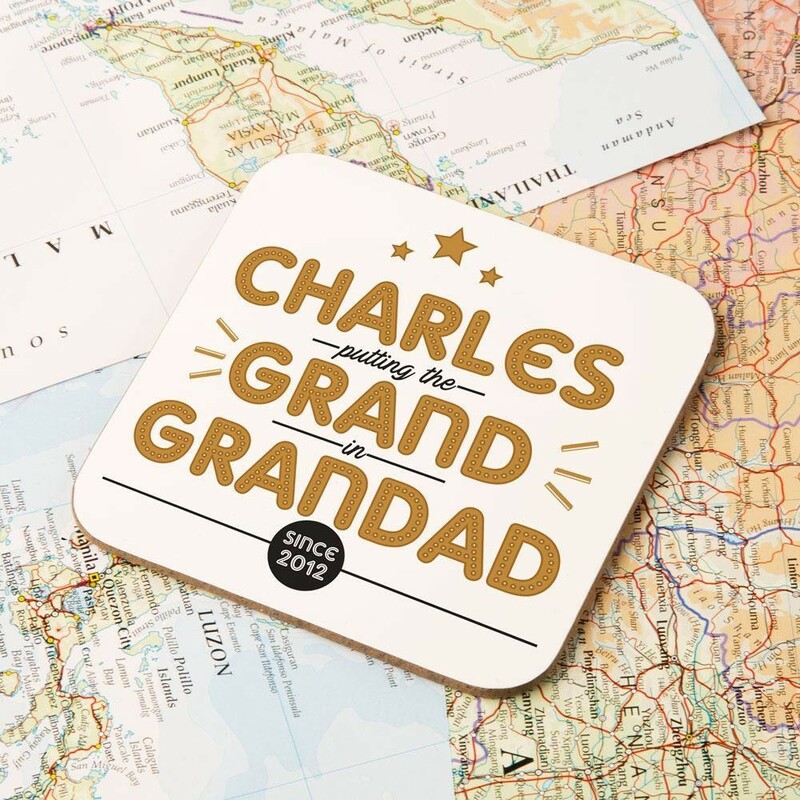 We think he will love to receive this on the birth of a new Grandchild or on a birthday. Alternatively it would make a great little stocking filler. He will be proud to show off such a unique addition to the coffee table and will smile whenever he uses it! Coaster dimensions are approx. 9 x 9cm.